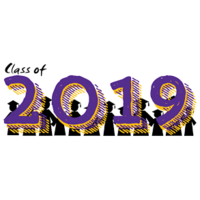 **NOTE: This item is to simply make a donation to the senior class events - there are separate places in the Amador Store to pay for Grad Night and Baccalaureate tickets. We want everyone to be able to participate in making lifelong magical memories for their senior year of high school. Please consider donating a small contribution to help fund scholarships for students who may not be able to afford Grad Night and/or Baccalaureate 2019.